Composting bins come in many shapes, sizes, and levels of detail. Most are relatively easy to construct or in some cases simply purchased commercially. The volume of waste that you generate. 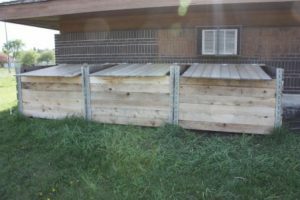 The location and space that you have available for composting. How much effort you want to put into building a bin (or you can buy one). How much work you want to put into your composting process. In all cases, it is important that you assess your specific requirements and tailor a system that suits your needs. It’s also important to understand the basics of composting before making a decision on your composting needs. The options available include: buying a bin, building a bin, or vermicomposting. Outlined below are more details on each of these options. 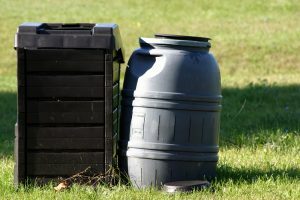 There are a variety of commercially available compost bins. The majority of these are molded plastic bins, although there are some prefabricated wood bins available as well. These bins are generally useful for those who have a small to moderate amounts of kitchen and yard waste, although you can always purchase additional units to increase your capacity. The molded plastic bins come in many shapes and sizes, require little if any assembly, and can be conveniently located just about anywhere in your yard. They are simple to use and require very little maintenance. Prefabricated wood bins are generally easy to assemble, however, they do cost more than building your own (see below). Depending on the size of the bin, they can increase your capacity for kitchen and yard waste. There are lots of options available if you choose to build your own bin, everything from simply building a pile to large multi-bin systems. The choice again is a matter of the volume of kitchen and yard waste that you plan to compost and the space you have available for your bins. The options above represent only a few of possibilities. Be creative and try to re-use materials that you have already or that can be salvaged from other projects around the house. Find information here on how to get started composting or sign up for the next free presentation. For information on pest proofing your compost bin, check here. 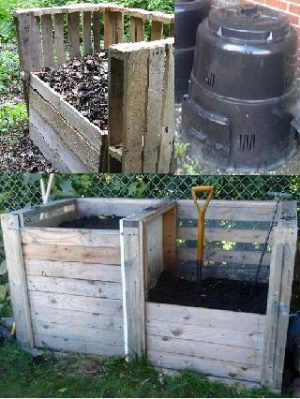 When you don’t have yard space or a need for large amounts of compost, vermicomposting is your answer. This is especially popular for apartment dwellers. All you need is a plastic bin, preferably a softer plastic that’s easier to cut holes into. A bin that is around 60cm long, 40cm wide, and 25cm deep is just about perfect for most apartments, although you can alter the size to suit your specific needs. If you use an old container make sure it has not been used for chemicals or pesticides that could be toxic to your worms. 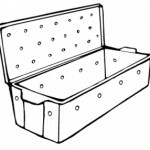 Unless you have purchased a ready-made bin, you will need to drill small holes along the top of the container and through the lid to provide ventilation. It is likely a good idea to drill a few holes in the bottom as well and place the bin on a tray just in case the bin gets too wet. You don’t want your worms to drown. You can also cover the holes with screen material to ensure that your worms won’t escape. However, if you maintain your bin the worms will be happy to stay where they are. 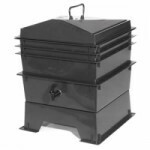 Another option for vermicomposting is using a stackable tray system or “worm tower”. These towers allow the worms to move upward as materials are added and makes harvesting of the finished compost in the tray below much easier than a traditional bin. They can also handle more waste than a single compost bin. You now are ready to go! Get your worms, get your bedding, and get started. Make sure to check out our vermicomposting information for everything you need to know to make your free fertilizer. If you have any concerns about building houses or repairing and stuffs, please check us at denver hail damage repair.